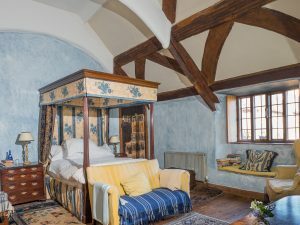 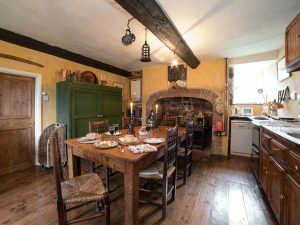 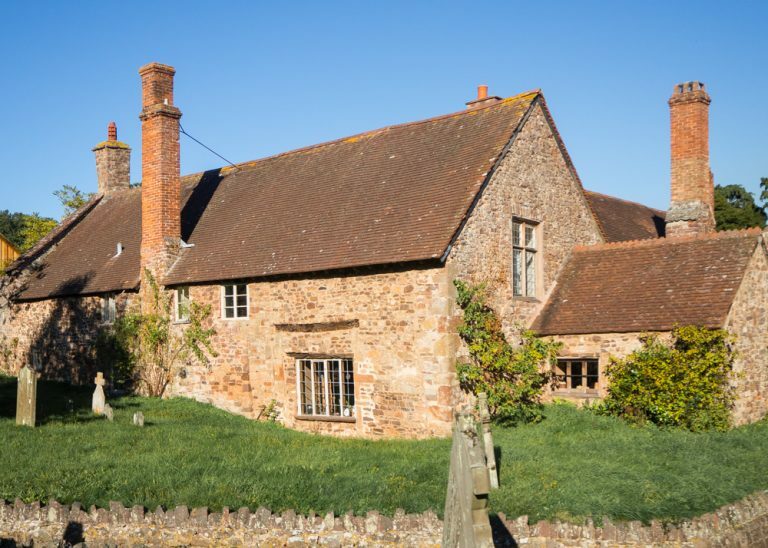 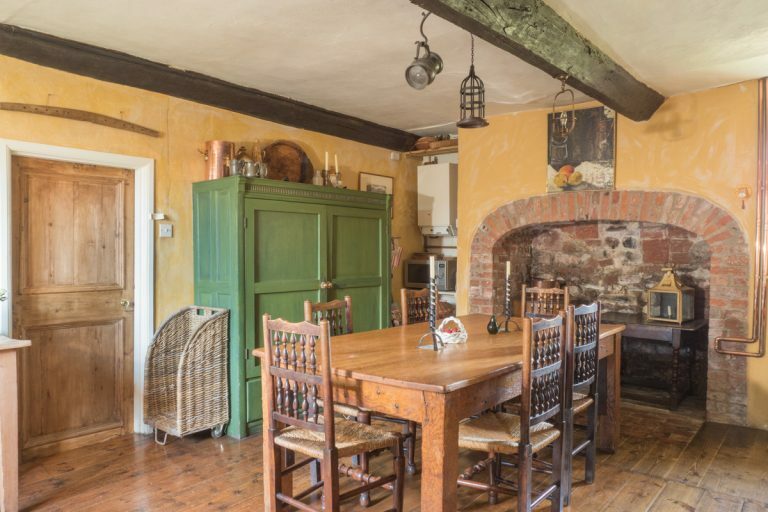 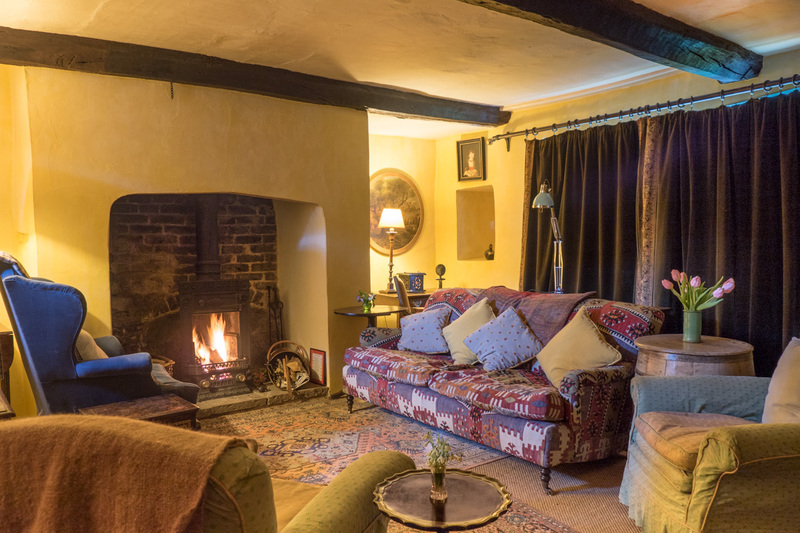 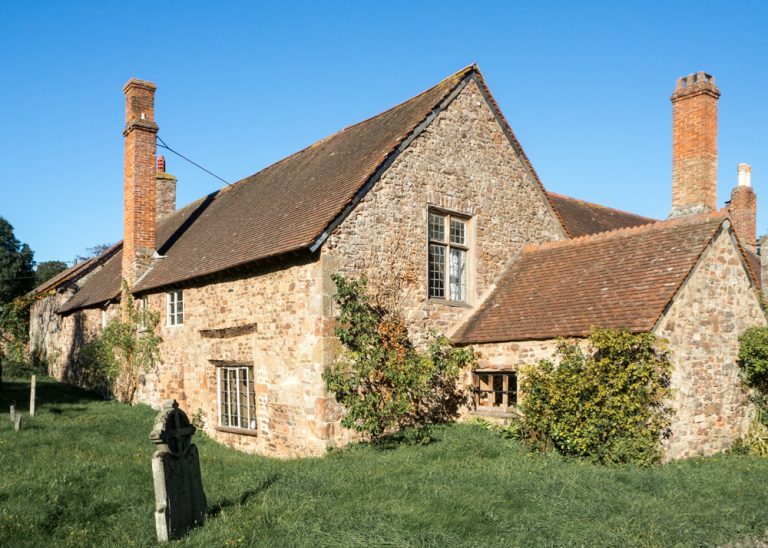 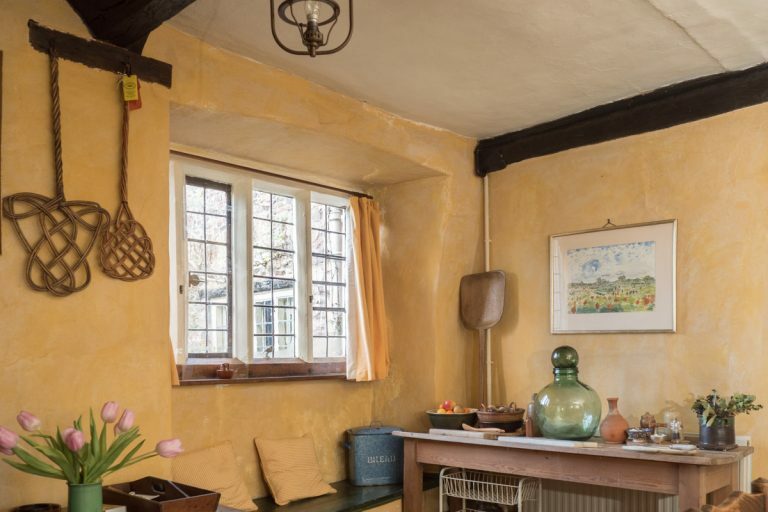 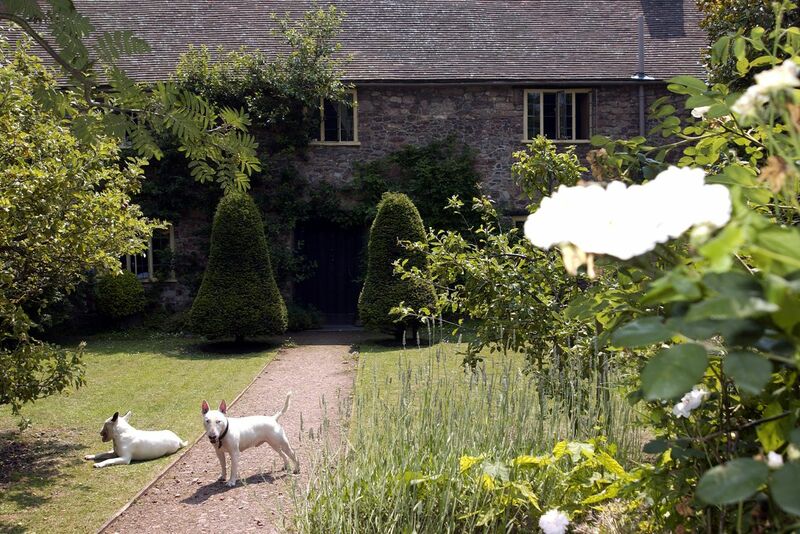 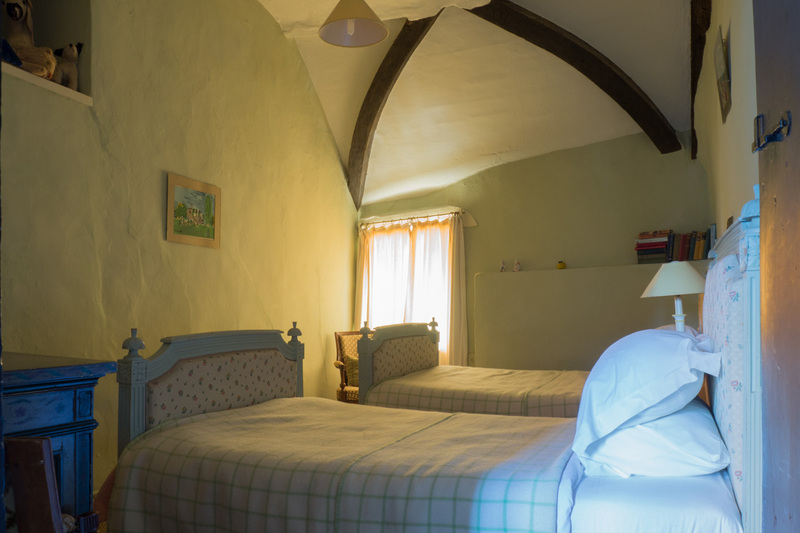 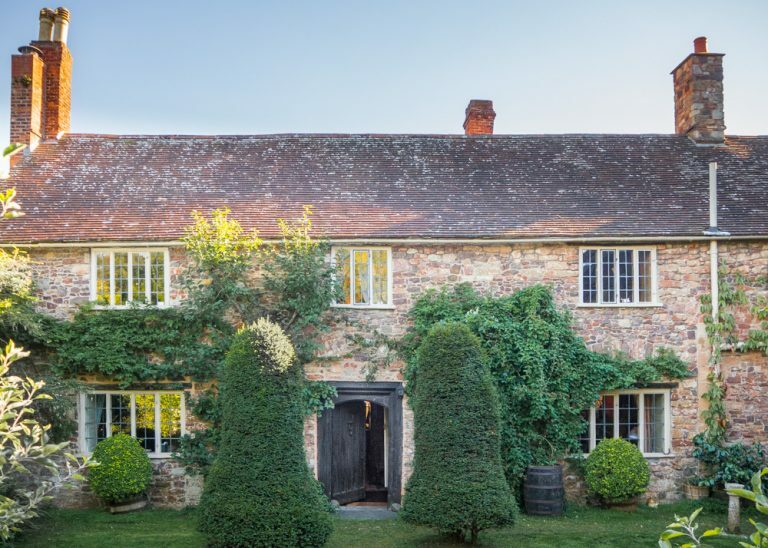 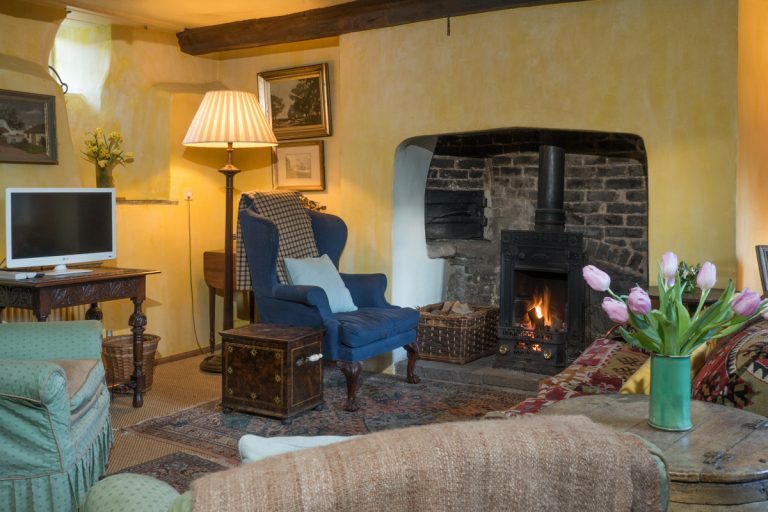 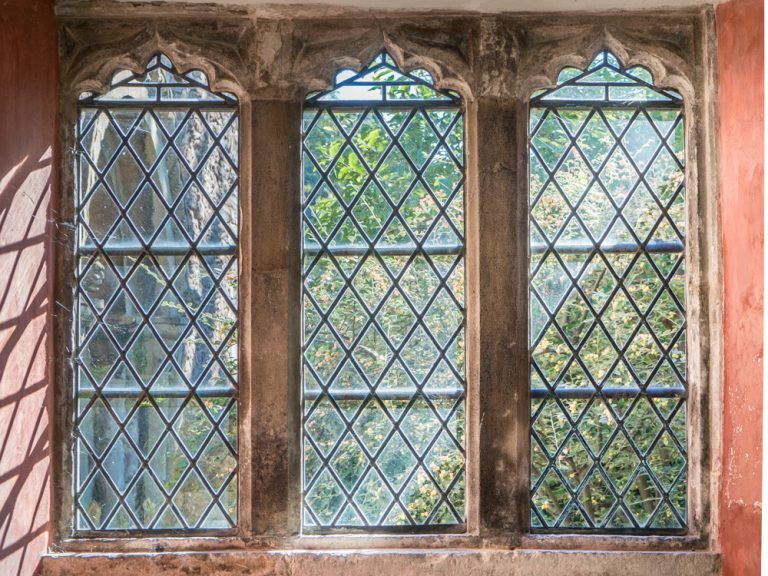 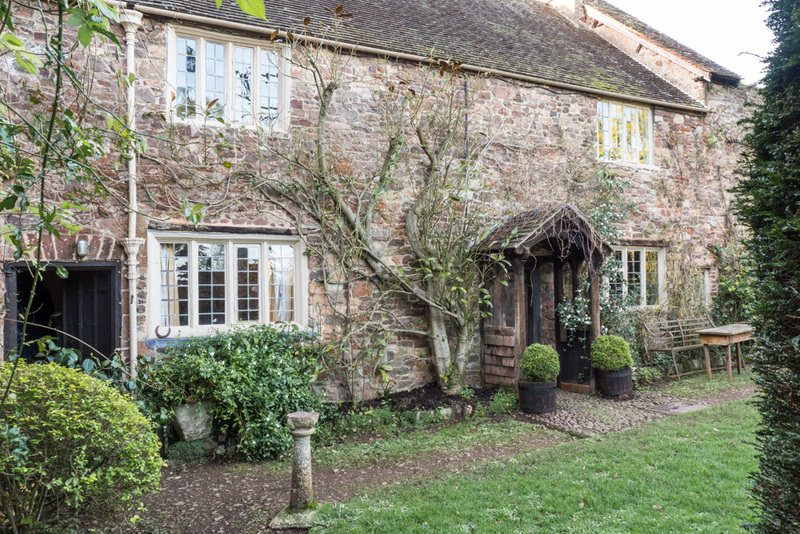 This picturesque and atmospheric 12th Century self catering cottage originally part of the Benedictine Priory is the ideal base for a relaxing break. It is attached to the main house with a shared garden. 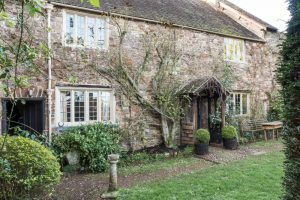 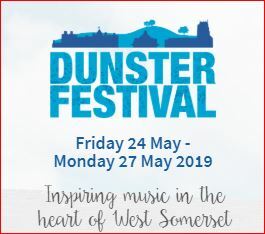 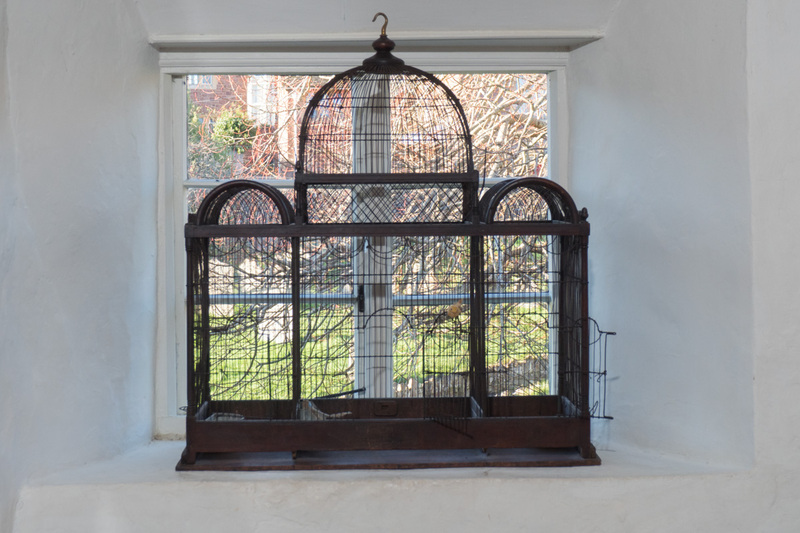 There is a private courtyard behind a fig tree, with table and chairs, pot plants and a private access to the St Georges Church walled garden. 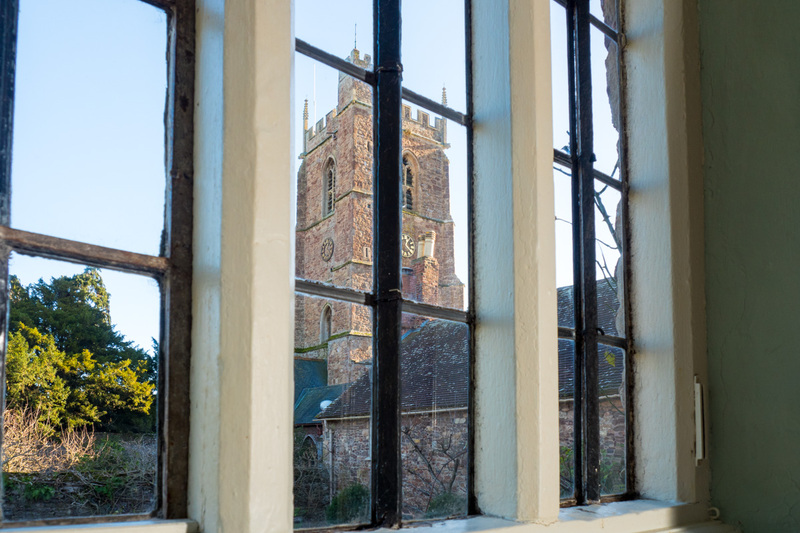 NB The church clock chimes the hour!!! 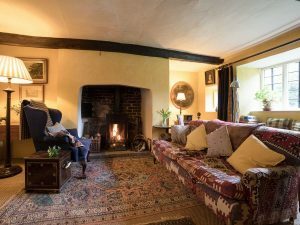 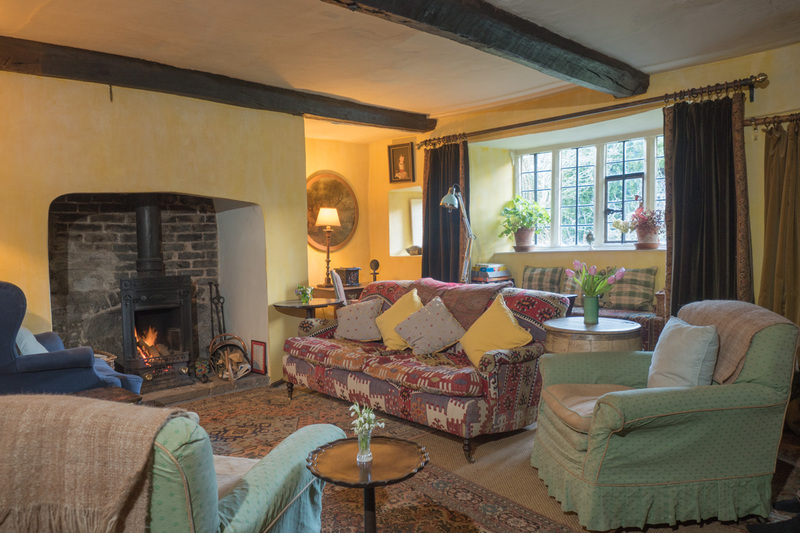 The front door opens into the sitting-room with original oak beams, window seat and a Victorian Log Burner in the inglenook fireplace. 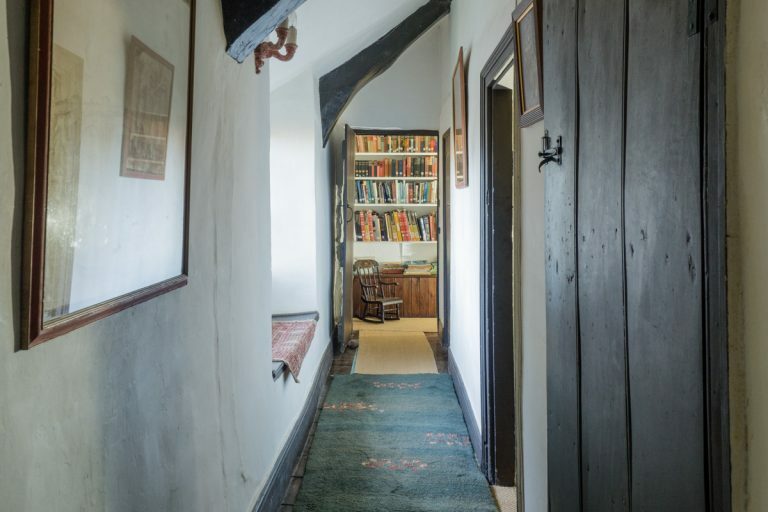 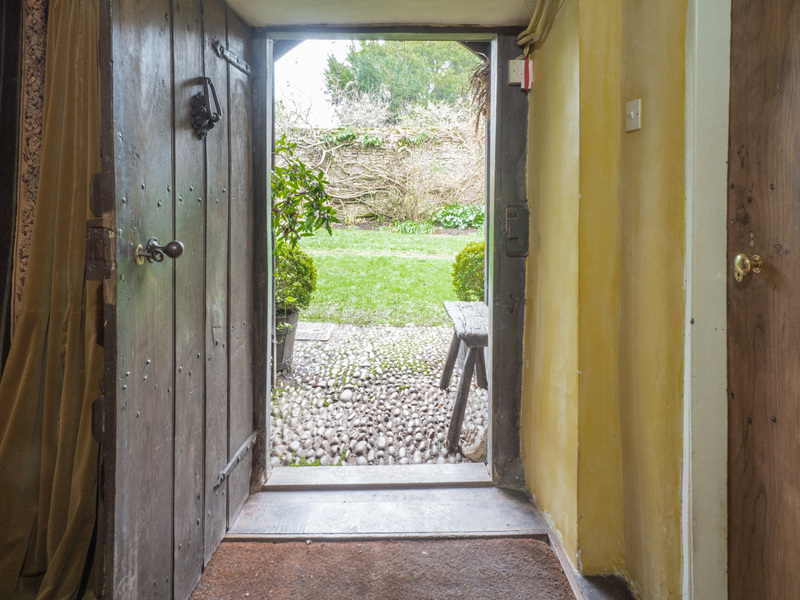 A door leads to the farmhouse kitchen incorporating an old fireplace, wooden flooring and oak beams. 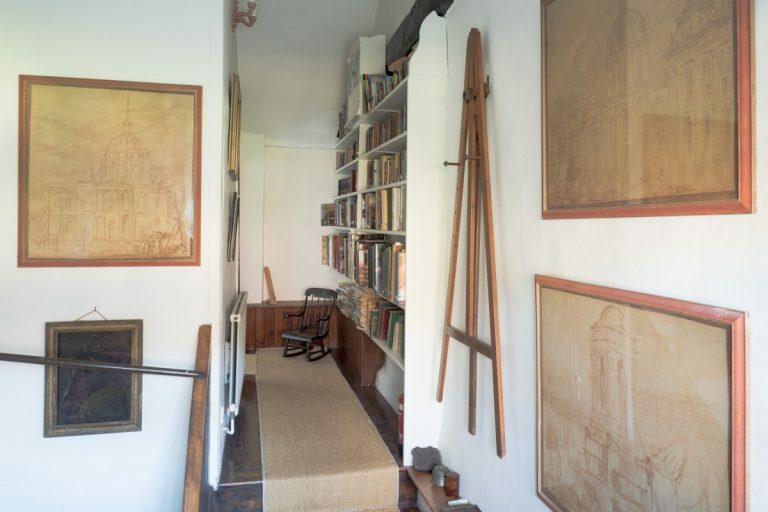 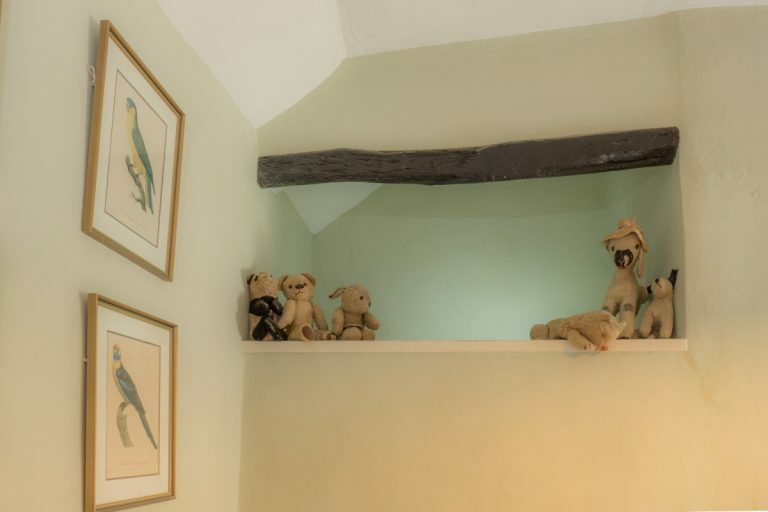 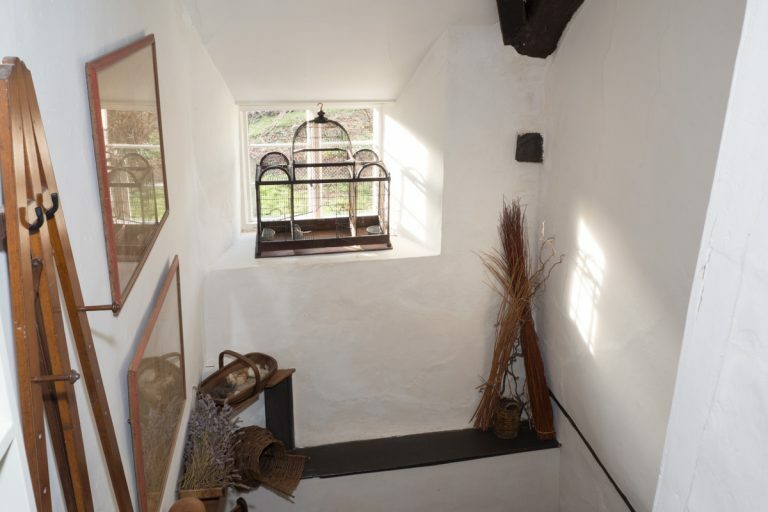 There is a large cottage stairway leading to the two bedrooms and a bathroom on the landing. 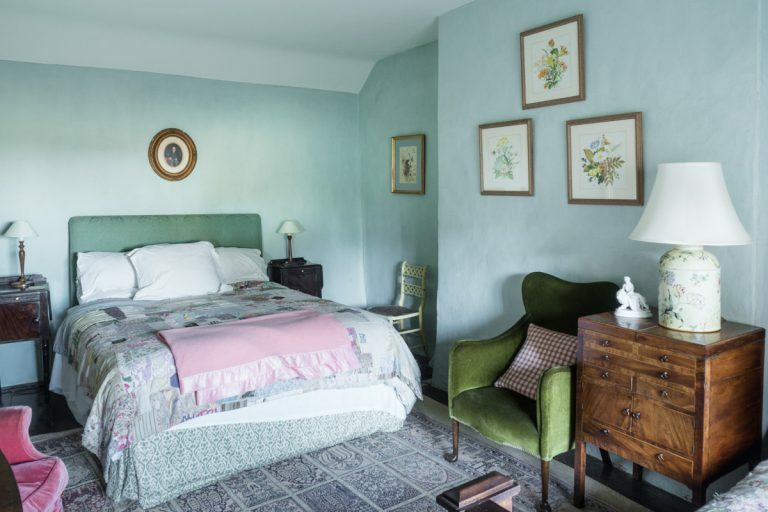 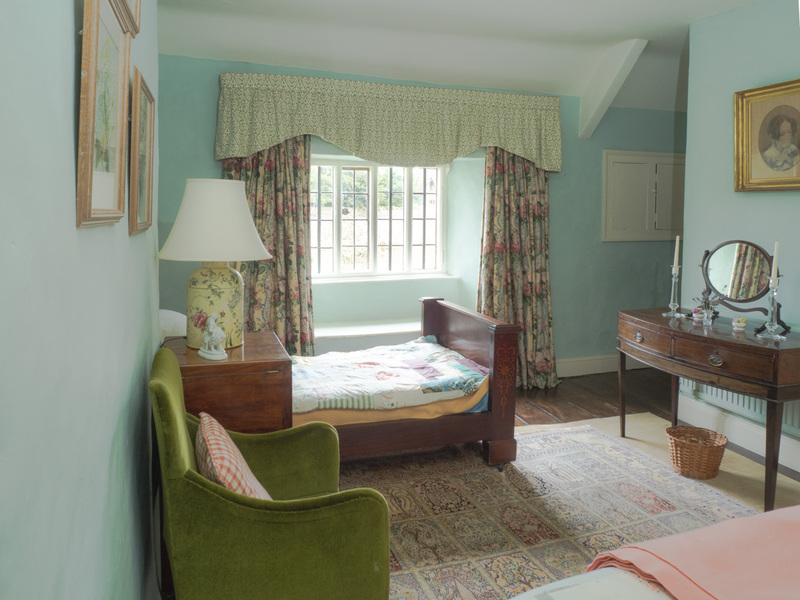 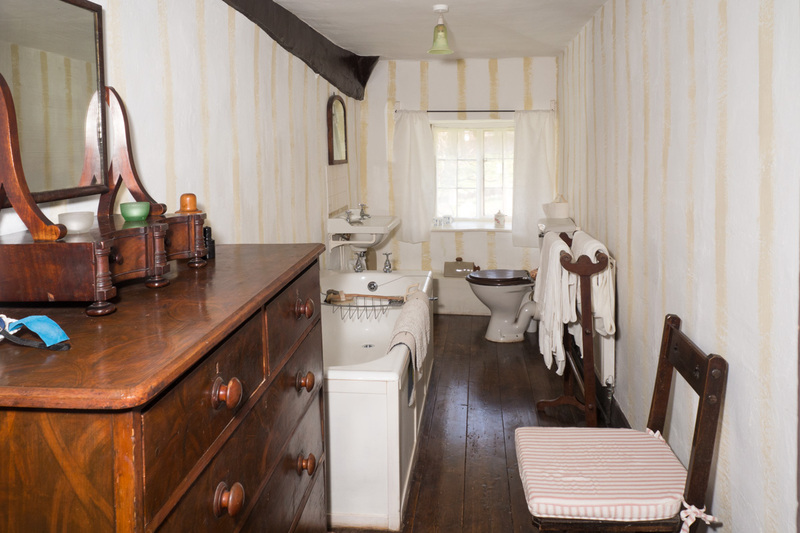 The cottage has been has been restored by specialist builders to remain as ‘authentic’ as possible. the decoration and furnishing are in the spirit. Parking: Allocated parking is available in an open garage and unrestricted roadside parking. 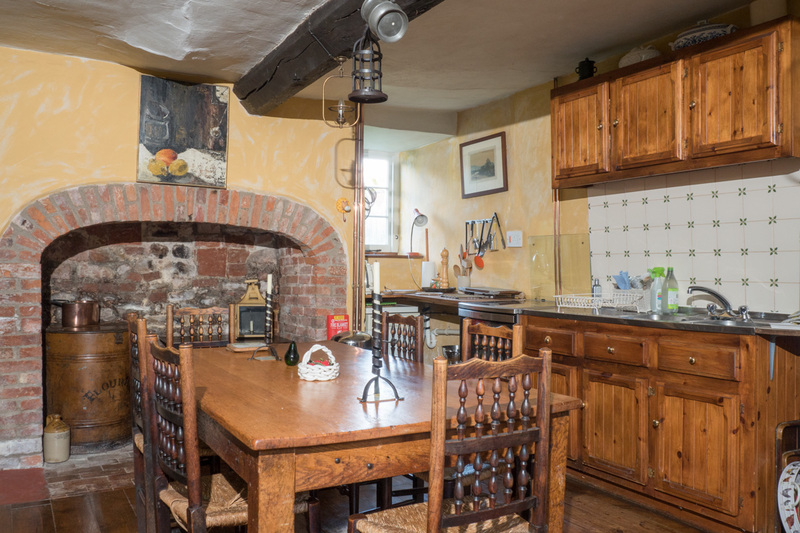 The cottage is available from £550 – £900 per week (Friday to Friday).